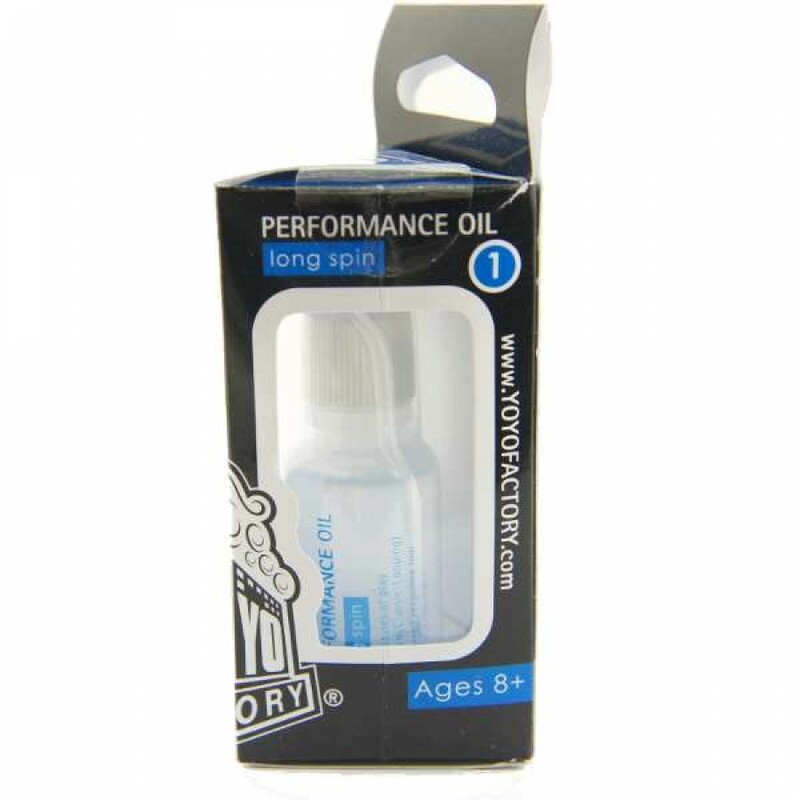 YoYoFactory Long Spin Performance Oil is a low-viscosity (thin) lube used to maintain unresponsive bearings. Using ONLY one or two tiny drops (and no more!) will extend the life of our unresponsive bearing and help it perform at its best. Once you apply the lube the YoYo will slow down a little. You will need to break in your YoYo again by throwing some nice hard sleepers, and your YoYo will be nice and smooth again. NOTE: try not to get any lube on your response pads, as it may affect the performance and lifetime of the pads (ie. they may fall out early).